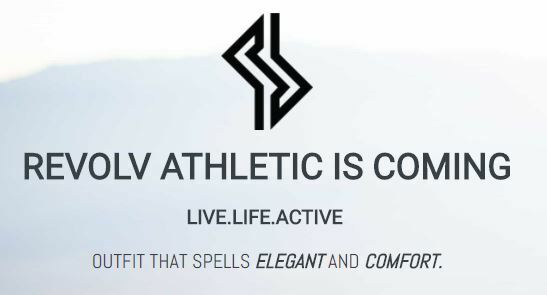 Revolv Athletic Clothing is promoting their new store launching soon with a refer-a-friend promotion where you can score a free T-Shirt, Hoodie, Fitbit Flex, and a $10 Store Credit when you refer friends. During the official launch, Sponsor will tally the number of eligible Entries received through each referring party. 3 bonus points are available for every participant by simply following our social media. Each point counts as one entry for the chance to win Fitbit Flex 2™ (5 winners). If you refer less than five (5) Contacts that become eligible Entries, or receive less than 5 points, you will receive a chance to win Fitbit Flex 2™ (5 winners). If you refer at least five (5) Contacts that become eligible Entries, or receive at least 5 points, you will receive $10 store credit and a chance to win Fitbit Flex 2™ (5 winners). If you refer at least fifteen (15) Contacts that become eligible Entries, or receive at least 15 points, you will receive an entry to win an Essential Tee (50 winners), $10 store credit and a chance to win Fitbit Flex 2™ (5 winners). If you refer at least thirty five (35) Contacts that become eligible Entries, or receive at least 35 points, you will receive a Daybreaker Heathered Hoodie (25 winners), $10 store credit and a chance to win Fitbit Flex 2™ (5 winners).